Polar vortexes are behind us, warmer weather has finally come to D.C., and patios all around the city are open for business. 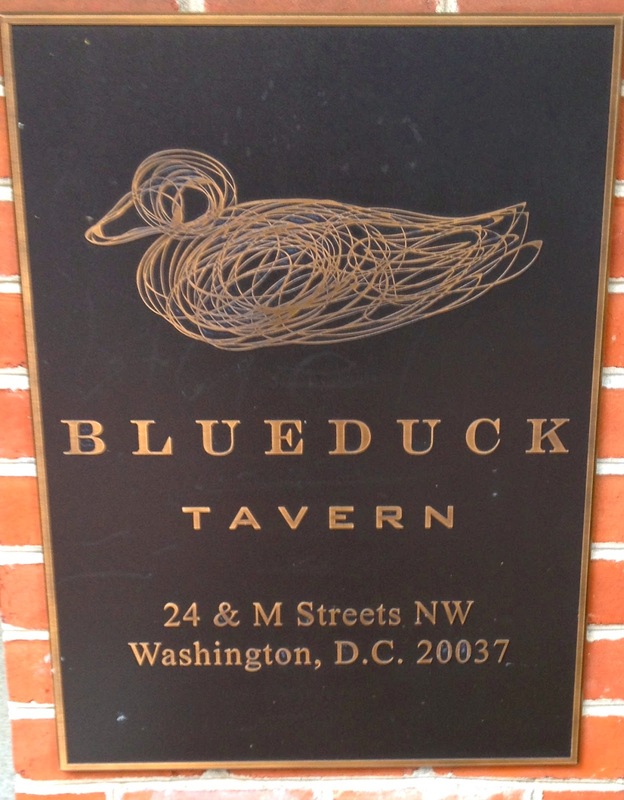 The terrace at Blue Duck Tavern on the corner of 24th and M Street, N.W, is an ideal place to dine outside, nestled in the shade of the restaurant and adjacent to a beautiful blue-tile fountain. Executive chef Sebastien Archambault and Chef de Cuisine Daniel Singhofen have prepared a menu of the seasons finest ingredients from regional artisans and producers. 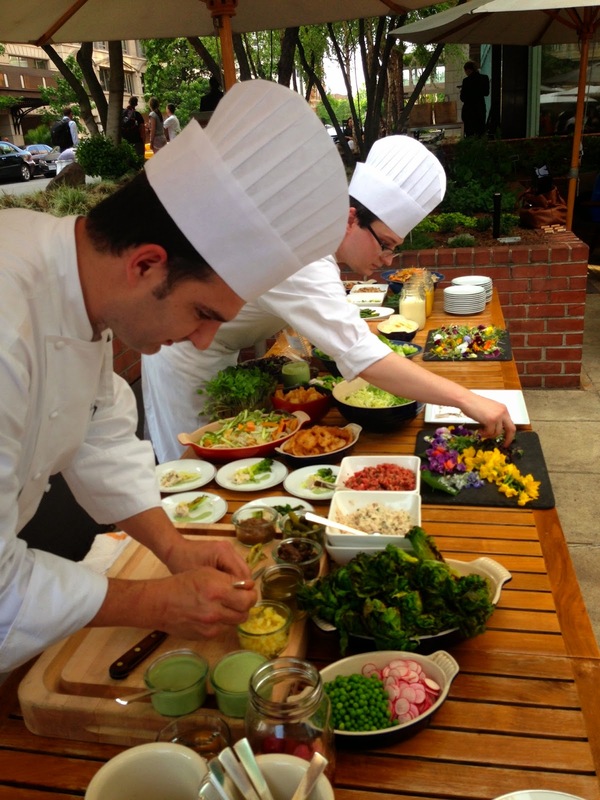 Both chefs Archambault and Singhofen joined us outside and plated each salad individually, meticulously selecting each ingredient from their prep stations. 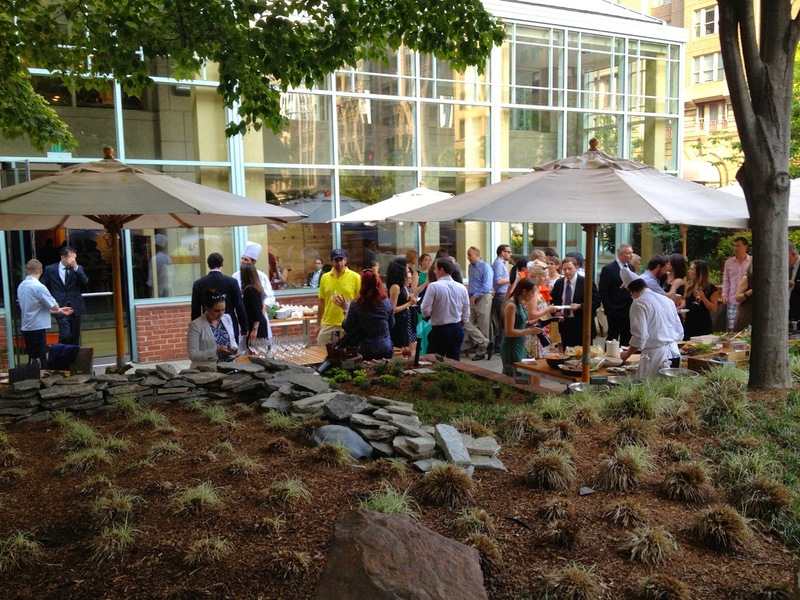 Since the recessed brick terrace is below ground level, the herb and flower gardens surrounds us at waist level, making the space feel closed off from the hustle of downtown D.C. 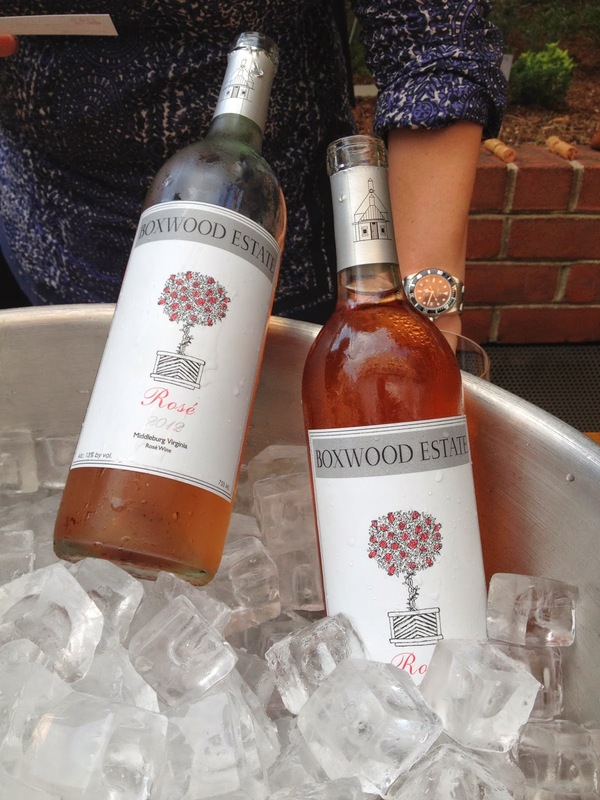 I started the evening off with a chilled rose from Virginia’s Boxwood estate. I spoke with some local foodies who had visited the vineyards just south of D.C. and they spoke highly of the grapes and quality of the wines. I calmly sipped my glass and mingled amongst the crowd until I saw the Southern Blossom Cocktail. I swallowed my last drop of rose and transitioned to cocktails. 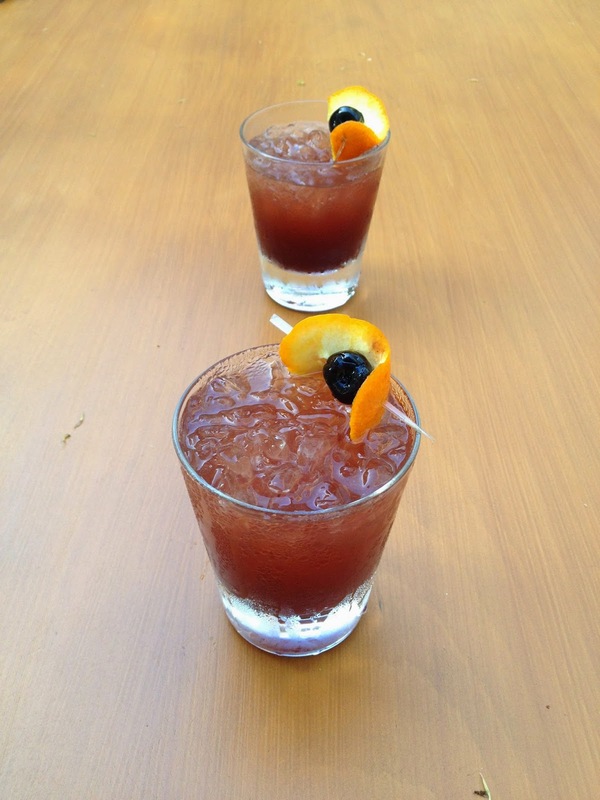 This whiskey rye drink is poured over ice, pomegranate and lemon juice, sweet vermouth, cherry bitters, and is garnished with an orange rind and a brandied black cherry. Soon after my cups emptied, plate after plate poured out of the kitchen, showering us with a beautiful variety of salads, meats, and desserts. 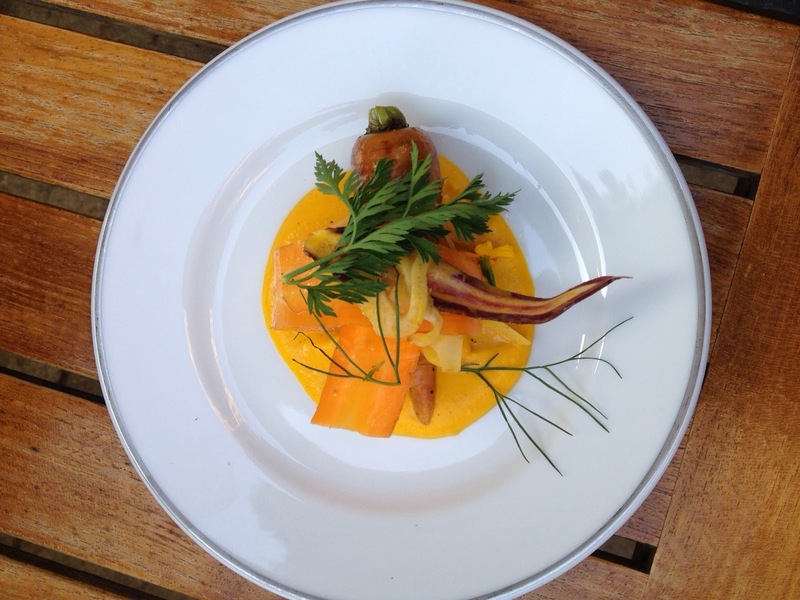 The first dish I jumped at was the Baby Carrot Salad, which consisted of a whole mini blanched carrot, served on a carrot and fennel puree, white wine pickled onion, accented with oranges and olive oil croutons. 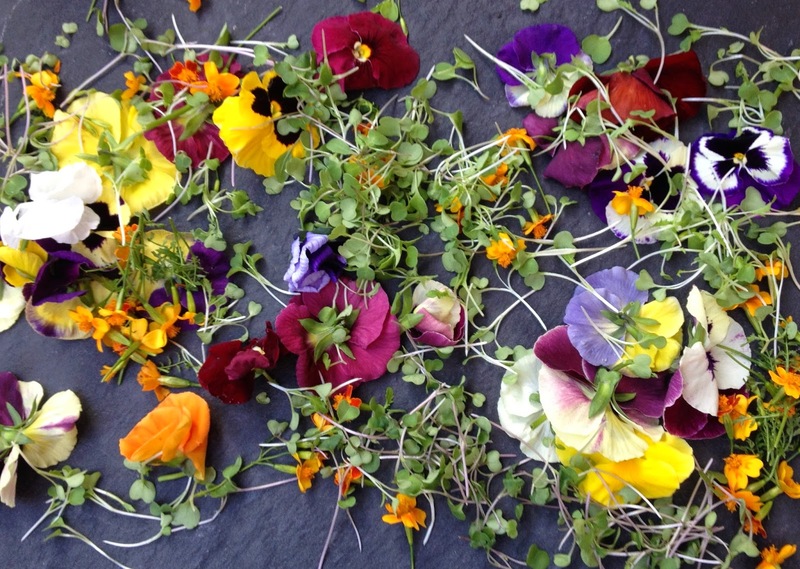 It was light, sweet, earthy, and the variety of flavors balanced well on the palate. The next salad I tried as an asparagus salad, with stacked whole green and white spears served with fried hen egg, chile lime vinaigrette, guanciale, and shaved Parmesan. 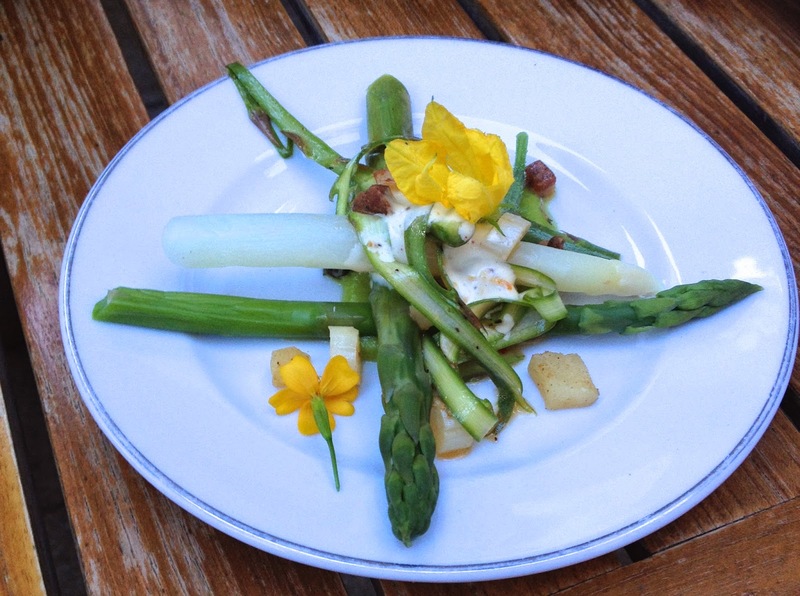 The salty pork guanciale mixed with the sweet and tart vinaigrette, and the crunchy asparagus spears gave a nice texture to each bite. 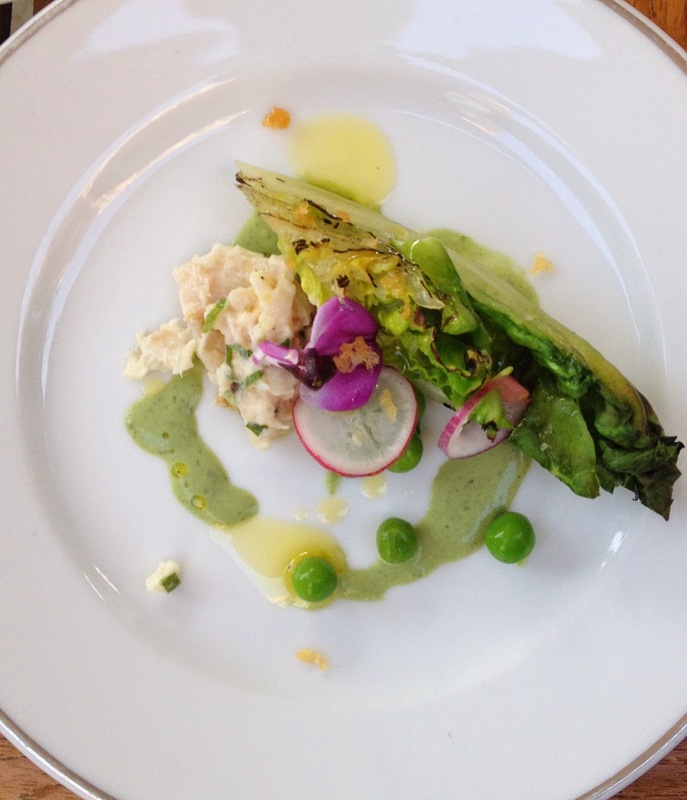 The first meat dish was a smoked trout rillette, served with charred gem lettuce, green peas, radishes, pickled onions, and croutons. I spent my childhood by lakes and rivers in Idaho, and smoked trout brings me back to the evenings huddled over a campfire cooking the days catch. Having this delicious fish plated and paired with fresh spring greens was a delight, and I definitely had a few helpings. 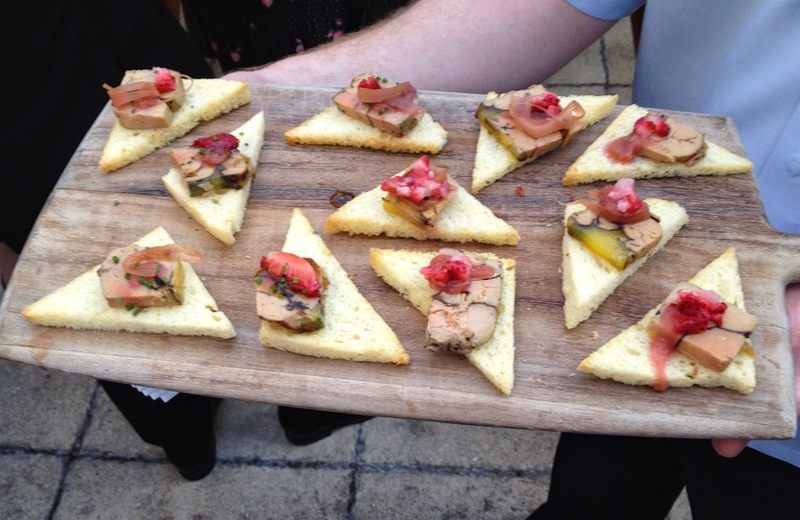 Following the trout was a seared foie gras topped with a dollop of strawberry and rhubarb chutney, served atop a lightly toasted brioche wedge. The sweet and tart chutney stood in stark contrast to the fatty, dense foie gras. 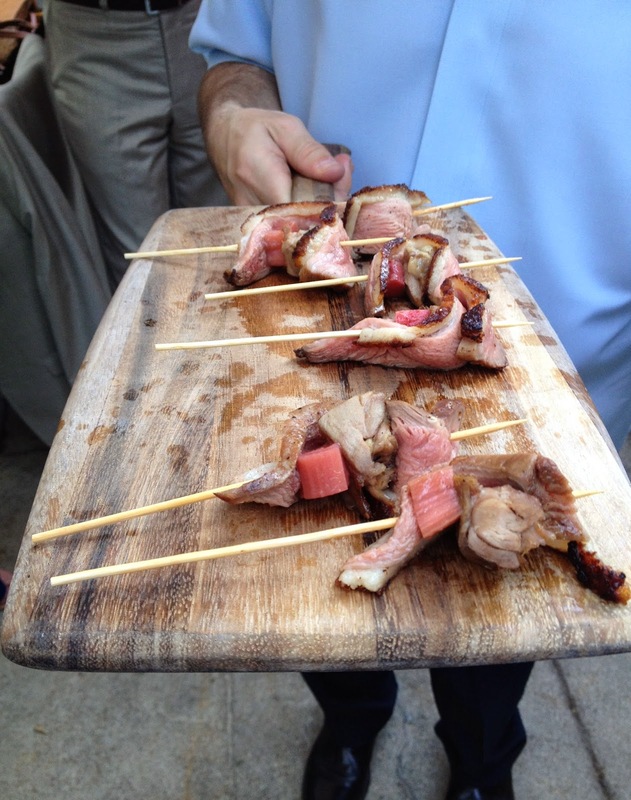 Next came the signature duck dish, which was a roasted Muscovy duck breast, skewered by a wooden kebab stick, alongside softened rhubarb chunks served on a wooden board. 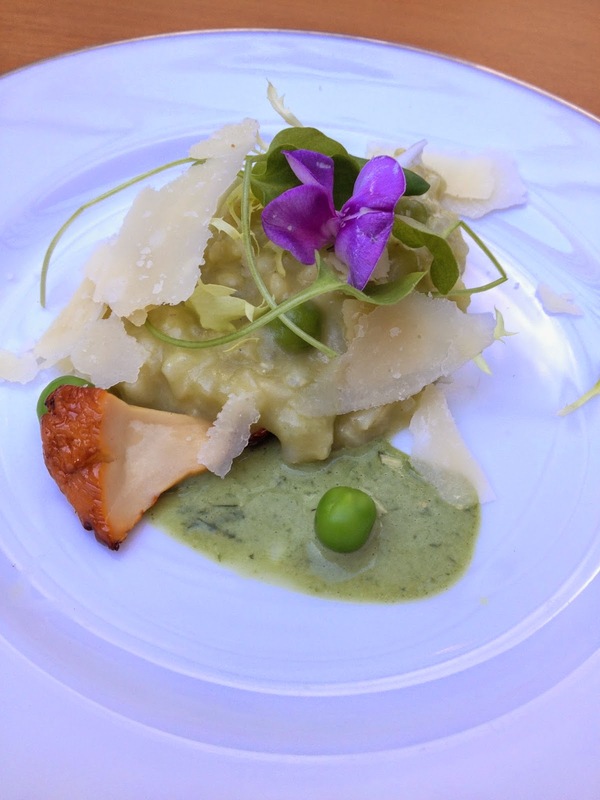 My final dish was a gold rice risotto, served hot with green spring vegetables, plump peas, draped with savory chanterelles and flakes of soft Parmesan. No visit to Blue Duck Tavern is complete without dessert, and Pastry Chef Naomi Gallego absolutely shined. 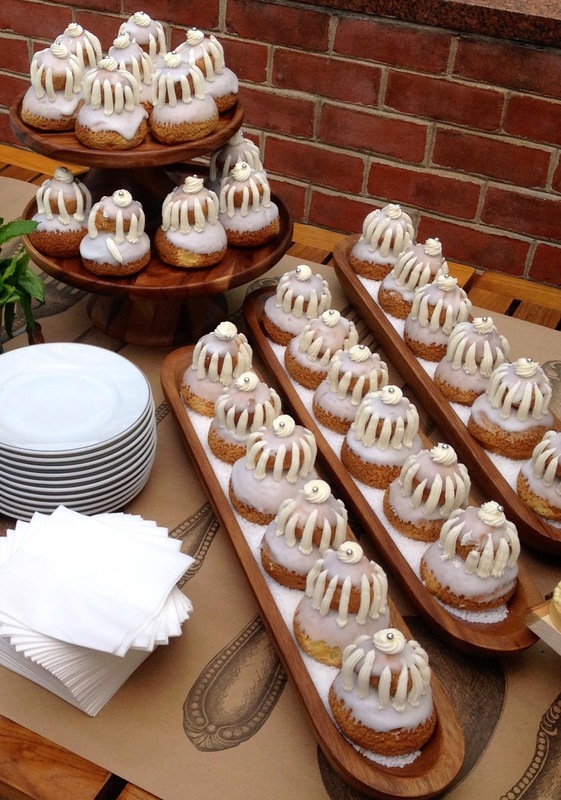 The vanilla bean religieuses was delicate and flakey, stuffed with dense vanilla cream that almost had the consistency of pudding. 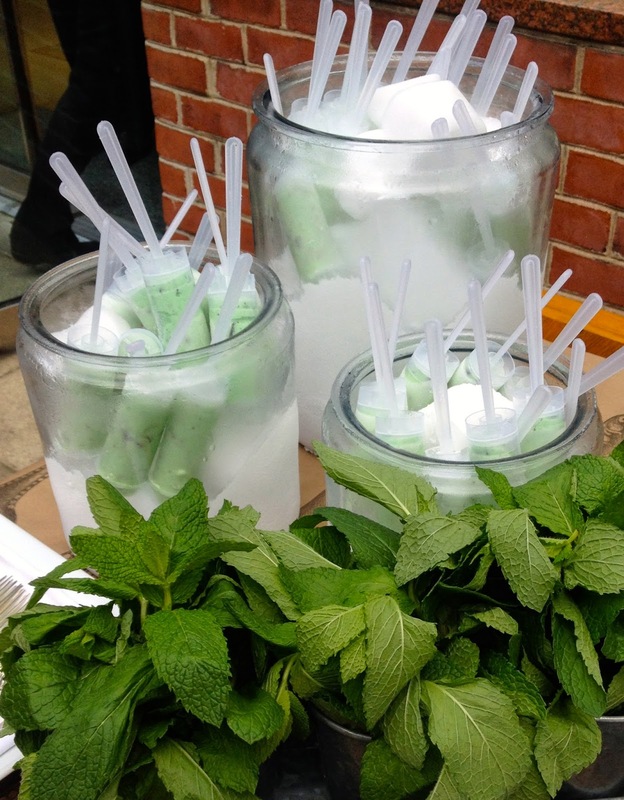 The Mint chocolate chip push pops were a fancied version of a childhood favorite. The mint was fresh, and the chunks of dark chocolate sealed the deal. 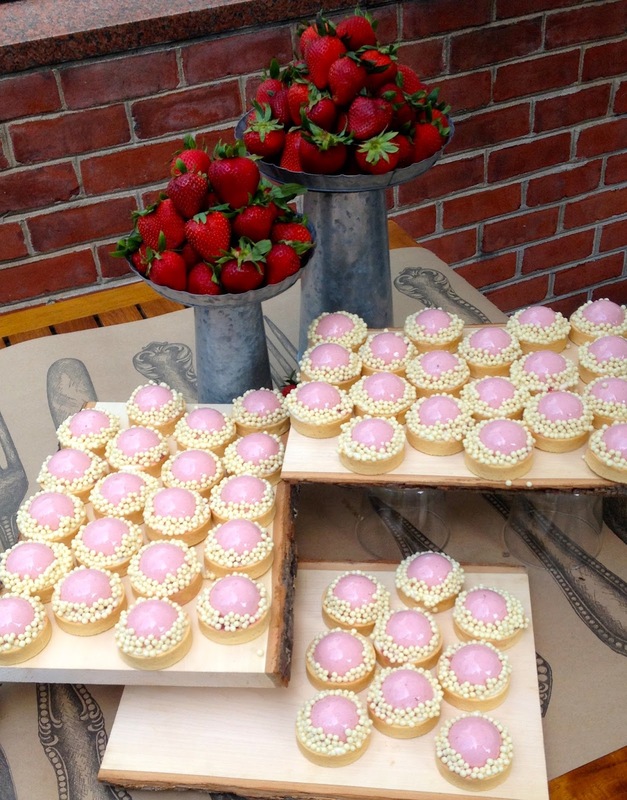 To finish off the night, I had a strawberry rhubarb tartlette, which was a sweet strawberry mousse, served on tart rhubarb on a buttery piecrust dish. The crunchy vanilla bean balls sprinkled around the edge were a good textured contrast to the creamy mousse. I could not be more impressed with Blue Duck Tavern this Spring. 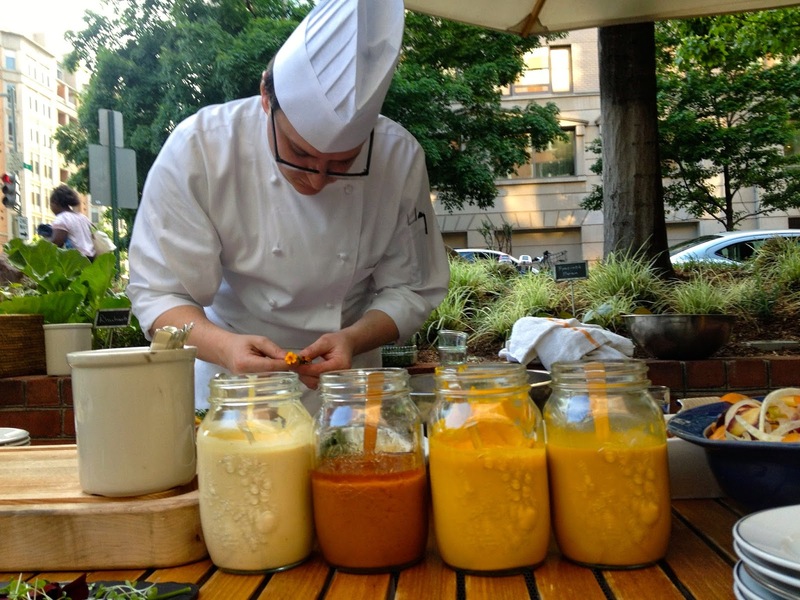 Make a reservation on their terrace, try their new creations, and you won’t regret it!